Live a peaceful and full life taking care of your lovely creatures out on 2.7 acres and room for horses, goats, chickens, ducks, dogs, cats...whatever creatures bring joy! 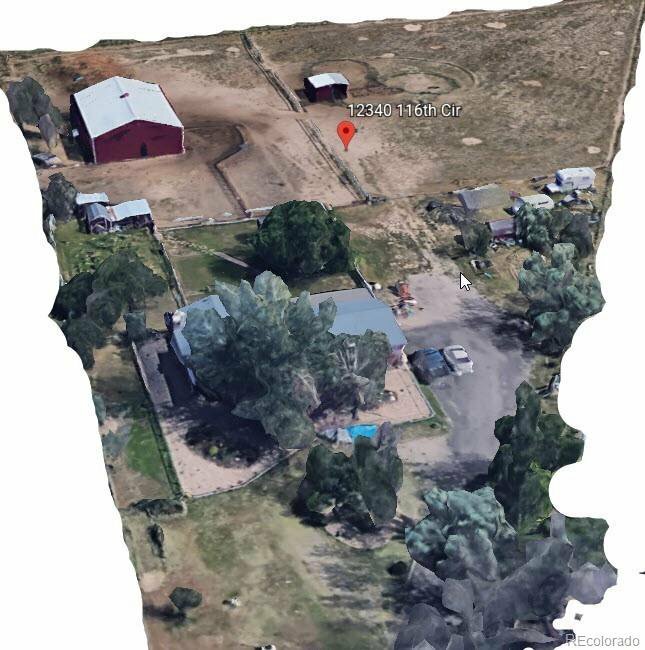 HUGE enclosed patio out back, 2 car garage, outlying shop, 6 horse barn, lean-to, chicken coops, dog run, sheds for tools and maintenance, mature trees, set back and off of Peoria traffic. One of the larger lots in the area. This is an awesome, awesome property that has been the gathering place for friends and family, alike. You will LOVE growing whatever kind of family you dream up, here; a life with ample solitude or plenty of space for many members to roam and play! Close to the Adams County Fairgrounds!